As an Advisor on the Sadler Georgen Harmon Team, James Chalmers strives to deliver ‘Raving Fan’ service to every individual client. Acting as his clients’ Chief Financial Officer, he works to formulate appropriate financial strategies that are based on clients’ unique needs and goals. James earned his B.S. in Business Administration with a concentration in Finance from the John Cook School of Business at Saint Louis University. Prior to joining Moneta, he worked as a Business Initiatives Manager at Wells Fargo Advisors. In this role, he helped create best practices for financial planning applications, provided training and leadership coaching to financial advisors and clients, and lead the firm’s mobile platform projects aimed at enhancing the client experience. 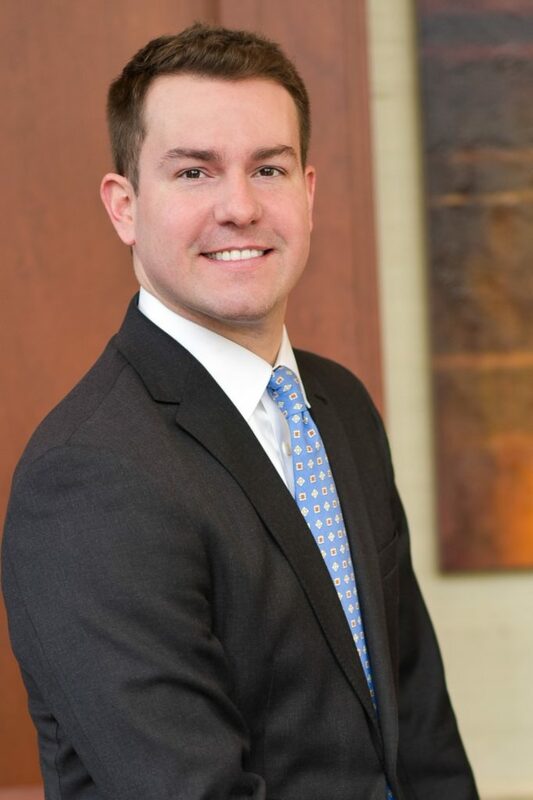 In 2015, James brought his experience and technical expertise in the financial planning process, specifically with financial planning technologies, to the Sadler Georgen Harmon Team. He channels his “high energy” and positive attitude towards working in the clients’ best interest. This is accomplished by examining the client’s current situations, setting financial goals, and measuring progress towards those goals. His favorite part of the job is celebrating with clients as they achieve their long term planning goals. Outside of Moneta, James is an active member of the community and is involved in multiple charitable organizations in St. Louis. He enjoys soccer, skiing, hockey, swimming, and spending time with his family and friends. James and his wife Erica have a daughter named Sloane and they reside in Webster Groves.